Pretty! 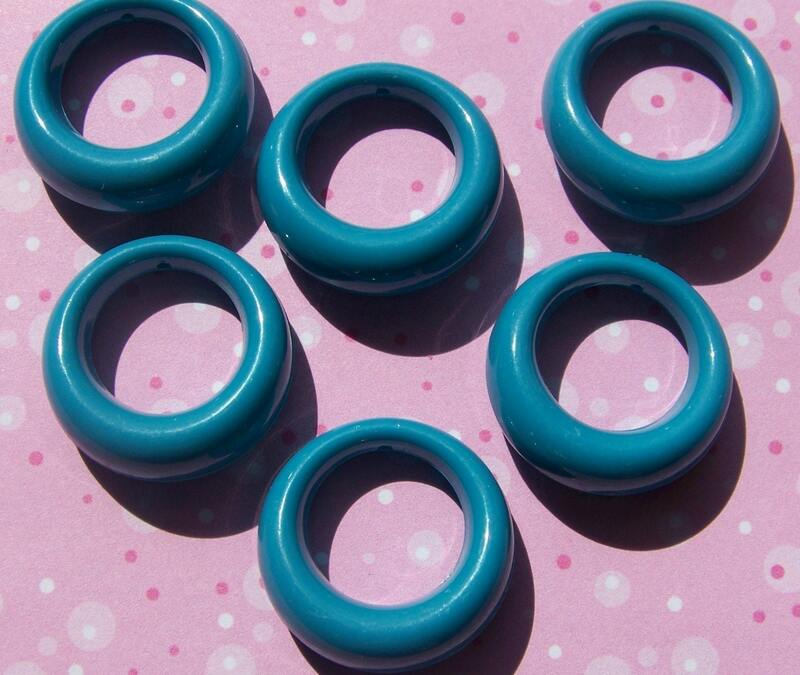 These vintage plastic hoop beads are in a very pretty color I am calling ocean blue. 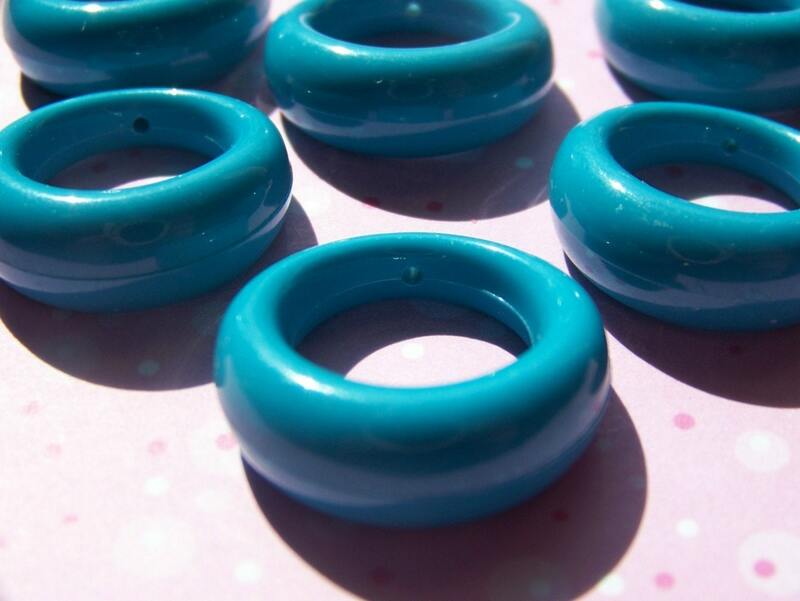 The beads measure 27mm. They have one beading hole at the top. You will receive 6 of these. LOVE the color. I have several colors of these and love them all. Thank you for such fast safe delivery and during a hurricane! !